Nearly any SUV, or for that matter a car, can do cross country trips. But not all cars can take you across harsh terrains where nature’s at its most beautiful. You need a go anywhere, expedition ready SUV for that. Here are 7 of them, all affordable. The Tata Xenon is a lifestyle pick up truck that gets a twin-cab design, which means that it can fit five adults. The loading bay at the back can accommodate plenty of luggage. A 4X4 transfer is optional while the 2.2 liter DICOR turbo diesel engine with 140 Bhp-320 Nm and 5 speed manual transmission are standard. 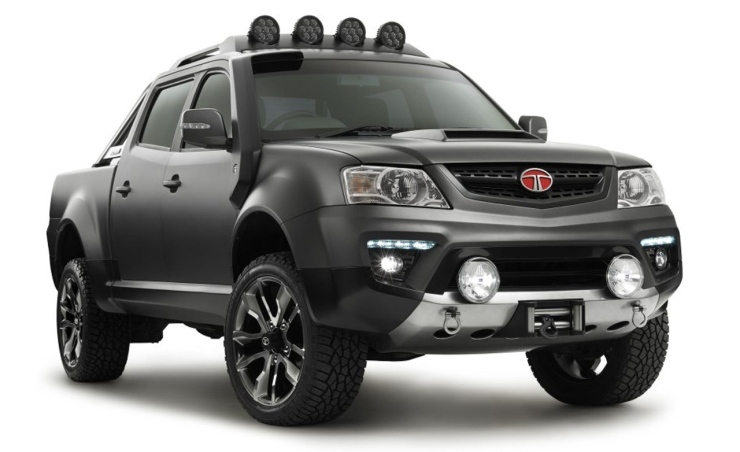 The Xenon looks the part of an expedition vehicle, and is very customizable thanks to its loading bay. ABS is standard on the 4X4 variant, which is priced at 10.99 lakh rupees. The Scorpio Getaway from Mahindra will soon get replaced by a facelifted version, which is based on the Scorpio Facelift SUV. 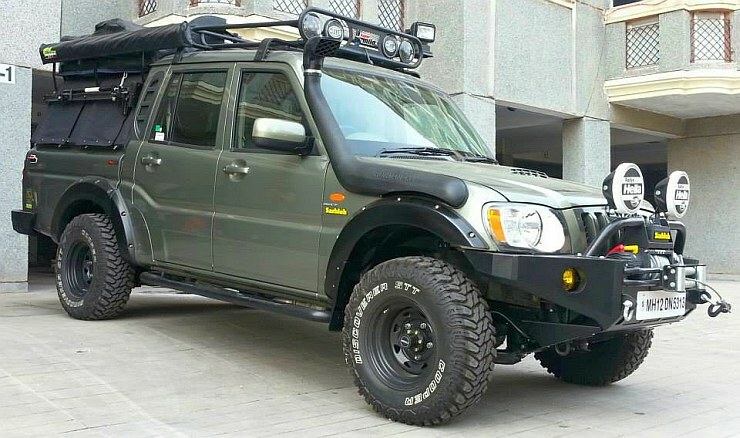 The older version of the Scorpio Getaway has been quite famous, with actor Gul Panag shooting a documentary in the Himalayas, about a road trip a custom-built Scorpio Getaway. The twin cab (5 seater) pick up truck uses a 2.6 liter CRDe turbo diesel engine with 115 Bhp-290 Nm on tap. Both 4X2 and 4X4 versions are available. ABS and Airbags are not available, even as standard. 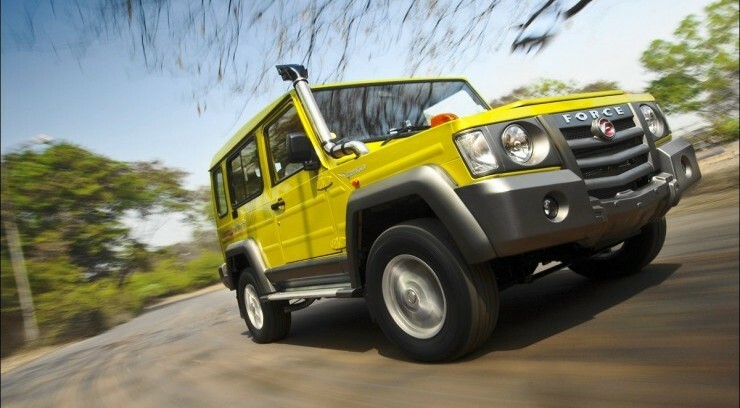 The 4X4 variant is priced at 9.6 lakh rupees. The Maruti Gypsy, also known as the mountain goat for its off roading prowess on narrow, hilly tracks, is the only petrol SUV in this list. The vehicle is also the least priced, with prices starting at 6.2 lakh rupees. The made-to-order, bare basic Gypsy gets a 4X4 transfer case as standard. Most expedition-goers prefer a half cabin and use the rear of the vehicle for storage. The Gypsy is powered by a 1.3 liter petrol engine with 80 Bhp-110 Nm. A five speed manual gearbox comes standard. Safety features such as ABS and Airbags are unavailable, even as optional extras. The Mahindra Thar another off roader that is extremely customisable. 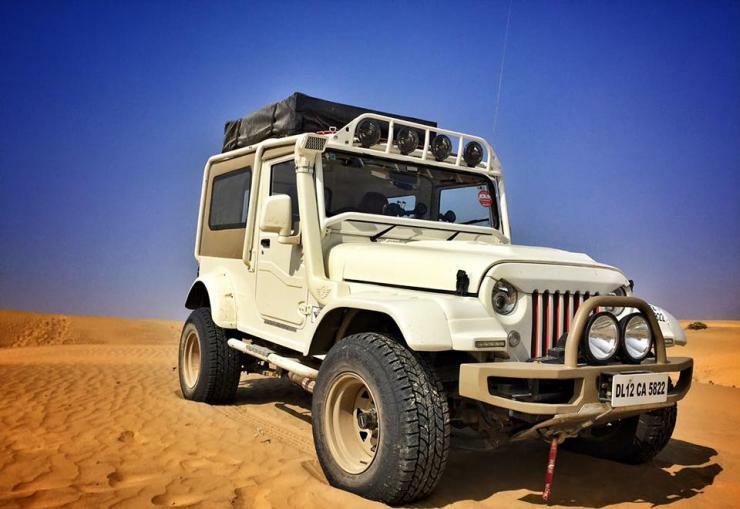 Hard tops, half cabins, and roof mounted tents are some of the changes that many owners of the Thar resort to. The vehicle is powered by a 2.5 liter CRDe turbo diesel engine that puts out 105 Bhp-247 Nm. A 5 speed manual gearbox is standard, and so is a 4X4 transfer case with low and high ratios. The Thar gets a power steering and air conditioning as standard, two things that the Gypsy sorely misses. 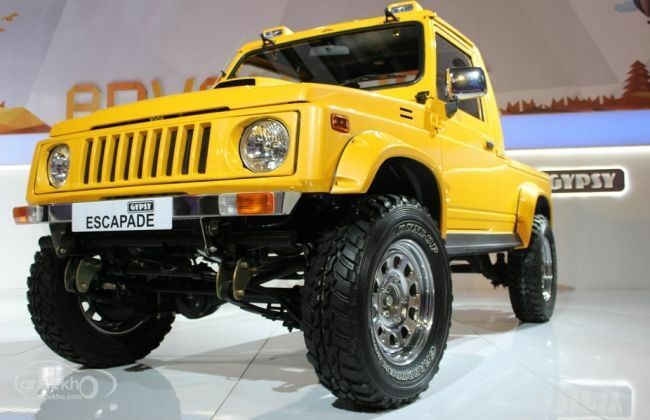 The Mahindra off roader is priced at 8.38 lakh rupees. ABS and Airbags are not on offer. The Force Gurkha is a 3 door off roader based on the Mercedes Benz G-Wagen. The vehicle gets hard top and soft top options, and 4X2 and 4X4 transfer case options. For the adventurous kinds, a 4X4 transfer case is a must. The Gurkha uses a 2.6 liter turbo diesel engine with 80 Bhp-230 Nm. A 5 speed manual gearbox is standard. While the Gurkha can seat 5, many buyers prefer to use the rear of the off roader to store luggage. Like the Thar, the Gurkha can be extensively customized. The Gurkha 4X4 Hard Top is priced at 8.71 lakh rupees. The Duster AWD is for those who want car-like refinement in an SUV’s form, replete with high ground clearance and off road ability. 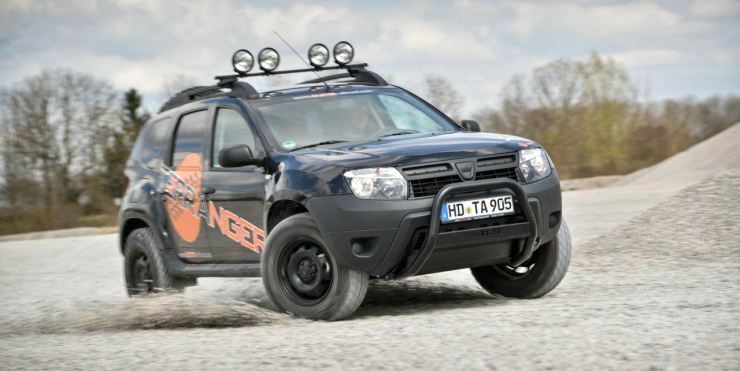 The AWD system of the Duster also adds safety, apart from improving the vehicle’s performance off the road. The Duster gets traction control, hill hold and ESP as standard features due to the Haldex clutch equipped AWD system. The monocoque bodied compact SUV uses a 1.5 liter turbo diesel engine with 108 Bhp-248 Nm on tap. A 6 speed manual gearbox is standard. The vehicle is priced at 13.55 lakh rupees. 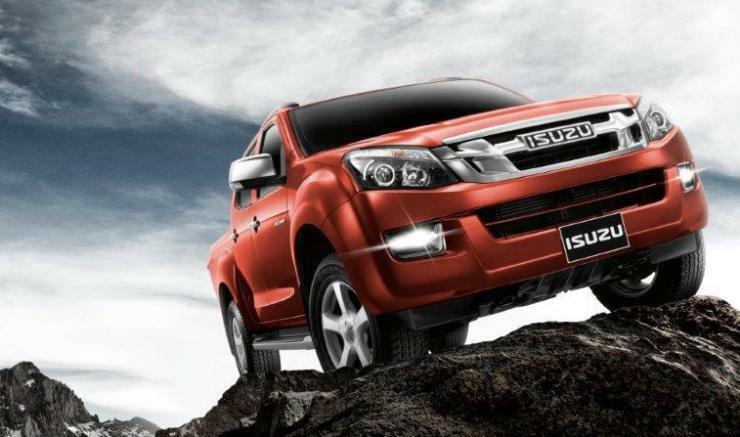 The D-Max V-Cross is Isuzu’s latest vehicle for India. The twin cab pick up truck will soon be launched here. Isuzu will CKD assemble the V-Cross in India, at its new Sri City factory. The pick up truck is more luxurious than the likes of the Tata Xenon and the Mahindra Scorpio, and offers ABS and Airbags as standard. A 4X4 transfer case is also standard. powering the V-Cross is a 2.5 liter turbo diesel engine with 134 Bhp-320 Nm. This engine is known for its perky performance and refinement. A 5 speed manual gearbox is standard. The V-Cross is expected to cost 15 lakh rupees.